As people get older, they often feel like Earth’s days are getting shorter. That’s an illusion. A new study has found that the moon has been bringing us longer days for more than a billion years now. 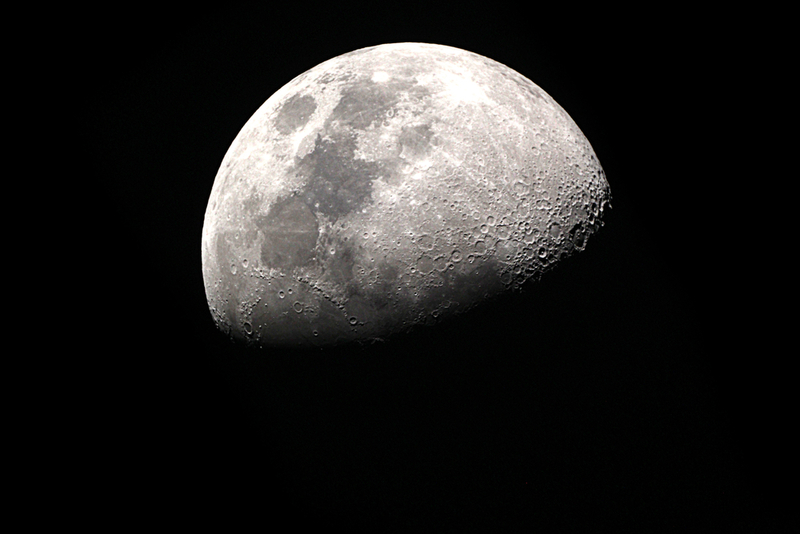 Dr. Stephen Meyers of the University of Wisconsin-Madison and Alberto Malinverno of Columbia University used statistical modeling, geological data and astronomical theory to track the moon’s movements back more than 1.4 billion years. They found that, back then, Earth’s satellite was much closer to the planet. They also discovered that days were much shorter – about 18 hours long, compared to today’s 24. “As the moon moves away, the Earth is like a spinning figure skater who slows down as they stretch their arms out,” Meyers said in a press release. Scientists have studied the passage of time on Earth for billions of years through the geologic record. Variations in the record – known as Milankovitch cycles – show the pattern of Earth’s seasons and climate and offer up clues to how the moon and other astronomical bodies affect the planet’s movement. But even with the help of Milankovitch cycles, it’s been difficult to look back billions of years. Enter Meyers and Malinverno, their work to see what Earth’s closest spatial neighbors were doing a billion years ago, and their discovery of the moon’s gift of longer days on Earth. Meyers brought the problem to a presentation he gave at Columbia’s Lamont-Doherty Earth Observatory in 2016. The two combined their work on statistics and astronomical theory to create a method they call TimeOptMCMC. Then they tested it on two rock layers: the Xiamaling Formation in China that dates back 1.4 billion years, and the 55 million-year-old Walvis Ridge in the south Atlantic. The new approach allowed them to detect the Earth’s rotation and axis tilt during those times, and from that, they could determine the moon’s location – and discovered that we enjoy longer days now than 1.4 billion years ago. Teams at Lamont-Doherty and in New Zealand have tested Meyers and Malinverno’s method on other geologic records. Their study has been published in the journal Proceedings of the National Academy of Sciences. It received funding from the National Science Foundation.